Medley (pictured above) is the plant manager for Coca-Cola Beverages Florida (CCBF)’s Tampa production facility. During his 10-plus years with the Coca-Cola system, he has held several productions and quality assurance roles. 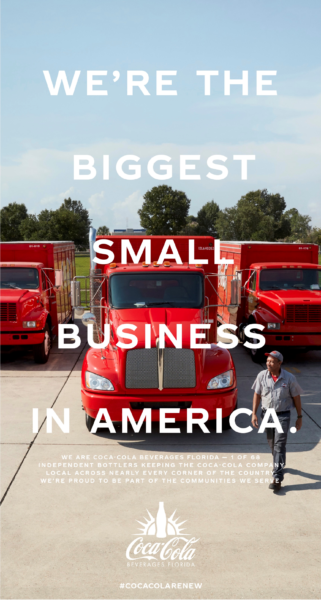 Today, he oversees a team of 165 employees who produce 21 million cases of Coca-Cola beverages annually and load them onto trucks to be delivered to retailers across the state and parts of south Georgia. He adds, “People are pleasantly surprised by the rigor that goes into making sure we produce safe, high-quality beverages. They see the number of people doing inspections, testing and verification to make sure every drink we make meets our quality promise and, ultimately, meets our consumers’ expectations. If you talk to anyone who works here, they will proudly say, ‘I work for Coke, and these are our brands’.